Glasses Mess with Facial Recognition Software #WearableWednesday « Adafruit Industries – Makers, hackers, artists, designers and engineers! Here’s a fun set of glasses that use infrared LEDs to make your face confusing to facial recognition software, according to Popular Science. Created by AVG, the glasses are a PR device to spur some talk on the issue of privacy at the Mobile World Congress in Barcelona. AVG is a software security firm, so it makes sense. I just wish they showed a video of software attempting to identify the man along with it. About a year ago there was another pair of infrared glasses that resembled goggles that made a splash in Japan. They were not as attractive, but they seemed to offer more light around the nose area, making the face fuzzier. 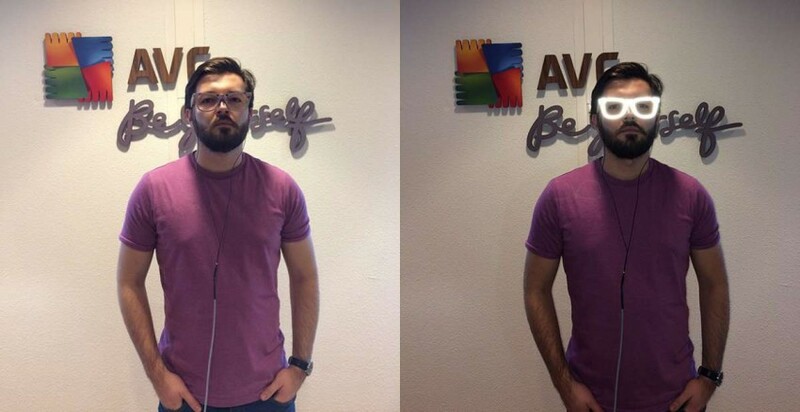 The nice point about both of these glasses is that the LEDs don’t interfere with the wearer’s sight, as they are invisible. It’s true that people shouldn’t have to wear glasses to keep their privacy, but they certainly can wear them for drawing attention to a problem. Why not go all out and make a pair of our Celebration Spectacles with NeoPixels. That way you can be sure of getting everyone’s attention, thus eliminating the possibility of you being a suspect for anything. Sounds like a good strategy to me. Selfies encouraged.